At the moment, the Miami Heat are riding a 25-game winning streak as the NBA playoffs inch ever closer. One man who hasn’t been impressed is Boston Celtics guard Jason Terry, who spoke on his rival’s streak prior to their meeting earlier this week. “[I'm] not really impressed with it or anything that they do,” Terry stated. During the game, Heat star forward Lebron James would score a nasty dunk over Terry, as seen above. And in the wake of his showcase, Lebron isn’t bashful when discussing the incident that left Terry on the floor. On Sunday, March 17 in Dallas, Texas, The Oklahoma City Thunder defeated the Dallas Mavericks by a score of 107-101. Thunder point guard Russell Westbrook lead the team with 35 points on 13-23 shooting while adding six assists and six rebounds. Westbrook also hit a go-ahead with 1 minute left to secure the victory. It should come as no surprise that rapper Lil Wayne has a little bit of animosity when it comes to the Miami Heat organization. After all, it was just last weekend that the New Orleans native was kicked out of the American Airlines Arena in South Florida, as he was in the building showing support to his favorite team, the Los Angeles Lakers, as they visited the Heat. 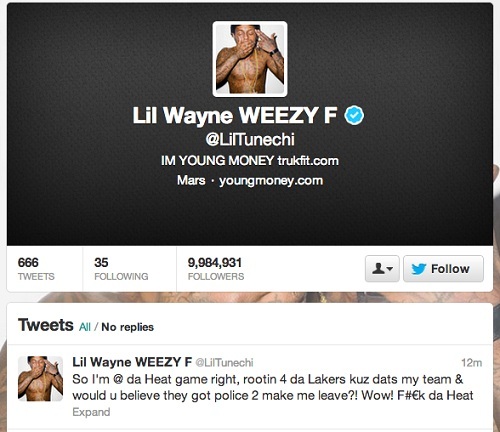 Upon getting exited from the game prior to the Lakers’ loss, Wayne went on a bitter of a tirade on his personal Twitter account. 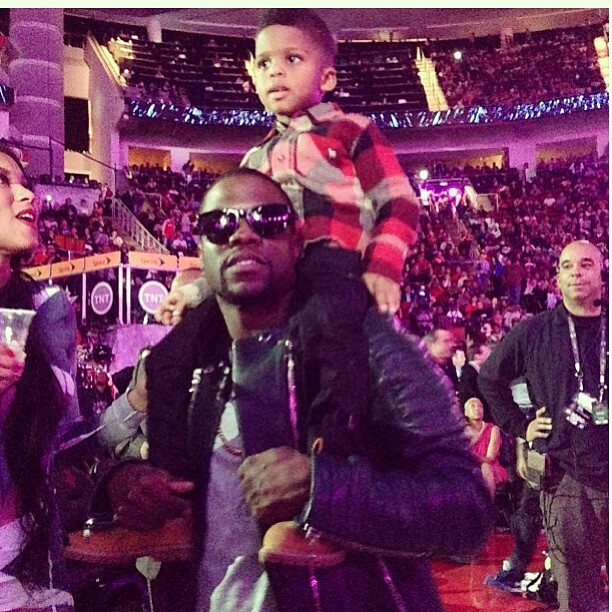 Going behind the scenes with comedian Kevin Hart this past weekend in Houston, Texas, as he won his second consecutive MVP Award during the All-Star Celebrity Game. One of the greatest owners in sports history, Dr. Jerry Buss, has died at the age of 80, according to a report from the New York Times on Monday, Feb. 18. The legendary owner of the Los Angeles Lakers lost his battle with Cancer at Cedars-Sinai Medical Center early this morning. The Buss family confirmed his death and released a statement. “We not only have lost our cherished father, but a beloved man of our community and a person respected by the world basketball community,” the statement would read. 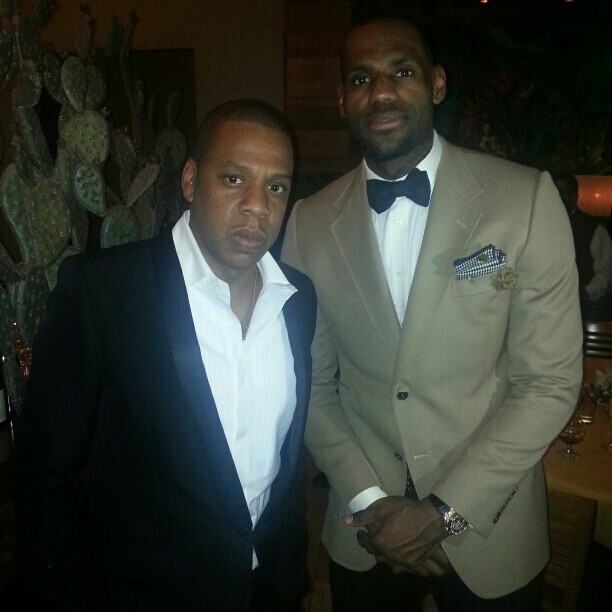 Presently in Houston, Texas, enjoying All-Star weekend, Miami Heat star forward Lebron James has been keeping his fans updated with some personal photos during his time in the Lone Star state. On Saturday night, Feb. 16, in Houston, Texas, Terrence Ross of the Toronto Raptors would emerge victorious in this year’s Slam Dunk Contest during the NBA All-Star weekend, as he beat out Jeremy Evans of the Utah Jazz in the finals. While the overall landscape of this year’s Dunk competition was a little off, as several of the participants missed their dunks on repeated occasions, Ross pulled everything together in the finals. His highlight was a between-the-legs dunk over a young child that seemed to give him the edge. The Los Angeles Lakers will be shorthanded tonight against the Brooklyn Nets, as it has been reported that forward Metta World Peace has been suspended one game. 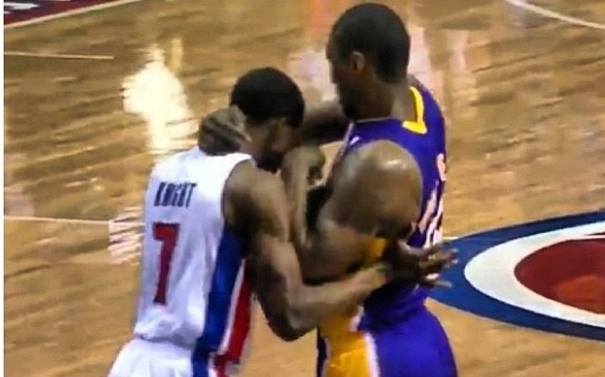 According to a statement released by NBA Executive Vice President of Basketball Operations Stu Jackson, World Peace has been suspended one game without pay for grabbing Brandon Knight of the Detroit Pistons around the neck and striking him in the jaw. 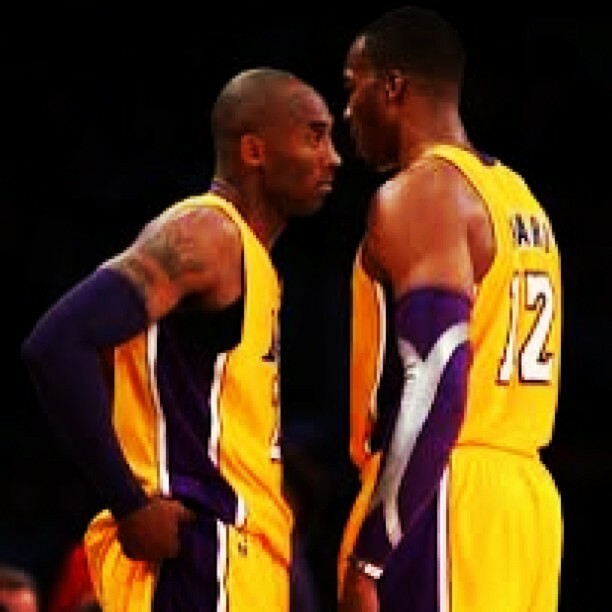 The incident occurred during the second quarter of the Lakers 98-97 win over Detroit on Sunday, Feb. 3. Shortly following the incident, game officials reviewed the play on the monitors and declared it a flagrant 1 foul. That didn’t sit too well with Knight, however, as he complained after the game and asked for the league to review the play. “The play needs to be reviewed because he definitely threw a punch,” exclaimed the second-year guard from Kentucky “It felt like he threw a punch. That’s why I reacted the way I did. The play was over and he grabbed me around the neck. The suspension comes at a critical time for the Lakers, who are also without center Dwight Howard. Metta World Peace has been averaging 13.2 points and 5.7 rebounds so far this season.